What I want to say is, the album will be coming out soon ... Don't worry ..
Because you all seem to be uneased ..
All of you ... because the songs haven't been surfacing...that's why..kekeke the truth is .. Thank you sooooo much ODE !!! This is what we have been waiting for [ I have upset stomach every-time I think about this....the word 'disband' has been terrorizing my mind sob] other than feeling relieved that leader is cheery and seems very confident, this really makes me wonder and think a lot....reading between the lines. 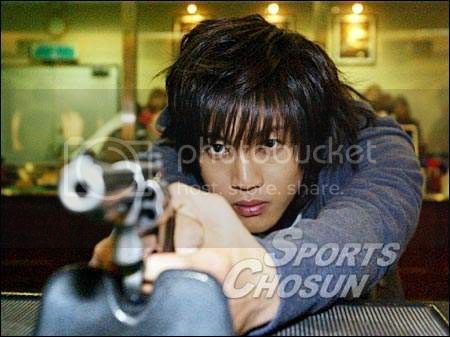 Leader really understands that we are worried.....here not only me.......melchan has been asking me every few hours since yesterday...."ma, is there any news on Hyun Joong and SS501? "....just now, I got home from work [on Sun !! sob] ...she asked again....and urged me to open my laptop right away.......but melchan has fallen asleep....I'll tell her tomorrow ! LOL leader must be like to made a shock message to triple s from april fool till now omoo hyunjoong and his 4Dness hhaha..
Oh how come less news on the other members...miss them too besides missing leader ! Say hi to stalkinghj for me ^^ she's a great leader fan! I've got to find an idol older than KHJ and BYJ...yg uda manula gitu LOL...maybe no worries then..
Kim Hyun Joong had an accident on 12 May ! Happy Birthday dearest Baesister Sophie ! Go for it, Hyun Joong !! Bae Yong Joon and Kim Hyun Joong !!!! !